The Hydrogen Hub welcomed a delegation from the China EV100 forum to Swindon this month. 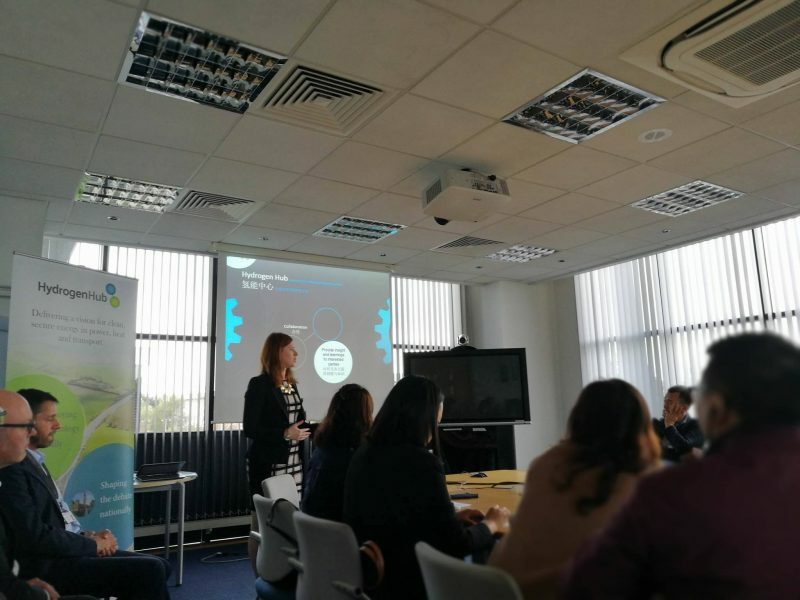 The delegation paid a visit to Johnson Matthey Fuel Cells where they heard from the Hydrogen Hub team along with leading academics and industry about Swindon and Wiltshire’s work in the development of new energy vehicles. The group were given a tour of the new hydrogen refuelling station and taken for rides in Arval, National Trust and Johnson Matthey’s hydrogen fuel cell vehicles. China EV100 forum aims to support the development of the new energy vehicle industry through promoting collaboration, research and innovation. The delegation included representatives from companies such as Zhejiang Wanma, Guangzhou Automobile Group Co. and Eakay Hi-Tech and Software Technology. This important visit comes at a time when the UK is looking to build stronger trade and investment links with China and is the first step towards greater collaboration on the new energy vehicle market.